Asahiden is a widely available marginal stripe leaf variety. The name Asahiden is translated as "Rising Sun Lord". 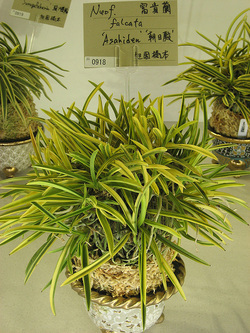 This large multi growth plant was exhibited at the 2010 Japan Grand Prix.